As anyone who's been following this blog will know, Laxmikant Pyarelal are responsible for some amazing soundtracks. But they've also made their fair share of not-so-great scores; those that may contain one or two semi-decent songs, but mixed in with several unexciting ones. Initially, 'Bandish' sounded as if it belonged in this category. Not unpleasant, the odd nice detail here and there, but mostly it didn't seem like much. A forgettable album, until I came to the final track: Something different altogether, something absolutely gorgeous. 'Main Kaun Hoon' is one of those beautiful, evocative and mysterious sounding songs that nobody in Bollywood did better than Lata Mangeshkar. And featuring those dramatic, haunting, horror movie- (it's not) type instrumental details that nobody in Bollywood did better than Laxmikant Pyarelal. Suddenly, this wasn't such a bad soundtrack after all. whatever ur observation regarding L.P. scores but they could not get what they deserve R.D. Burman's untimely death one of the reason as R.D. stole all the attention from them though at their prime L.P were most sought music directors. they were copied by several known music directors like Annu Malik, Anand Milnad, Hismesh Reshamiya etc. 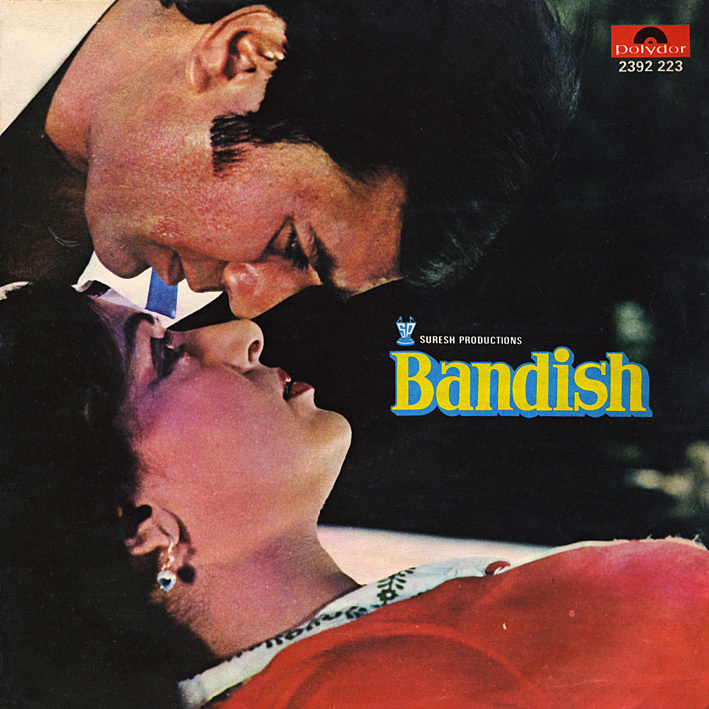 Bandish (1969) has a great song by Mohammed Rafi called "Abhi Raat Baki Hai"
Bandish (1955) has 3 great Lata slow songs and one Asha.